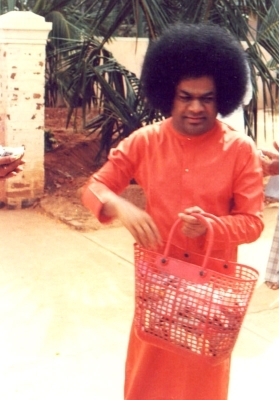 Lord Sathya Sai Baba has many incarnations. He has incarnated as the planets (everything is the form of the Purusha, which is the Lord God) – he has incarnated as the planets to bestow on all living beings the results due to their karmas. He is Janardhana, the one who consumes all the worlds and reposes on the ocean of milk. Thus, he is the one who gives all human beings their forms and the reposes within their selected karmas. He, the Lord Sathya Sai Baba, assumed auspicious forms of planets to destroy evil forces and sustain divine beings – easwarasarvabhuthanam (all are incarnations of the divine Easwara). From Ravi (Sun) came avatar Rama (suryavamsha dynasty); from Moon came Krishna; from Kuja (Mars) came Narasimha; from Budha (Mercury) came Lord Buddha; from Guru (Jupiter) came that of Vamana; from Sukra (Venus) came Parasurama; from Shani (Saturn) came Kurma (Tortoise); from Rahu came Varaha (Boar); from Ketu came Matysa (Fish). But in Lord Sathya Sai Baba—all planets have incarnated. The beings with more paramatmamsa are called divine beings. The beings with more jeevatmamsa are called mortal beings. The high degree of paramatmamsa from the grahas (planets) Ravi and so on, did incarnate as Rama, Krishna, etc. After completing the mission, the paramatmamsa (of the respective grahas) again merges in the respective grahas. The Jeevatma portions from the grahas take birth as human beings and lead their lives according to their karma and agaikn merge in the grahas. 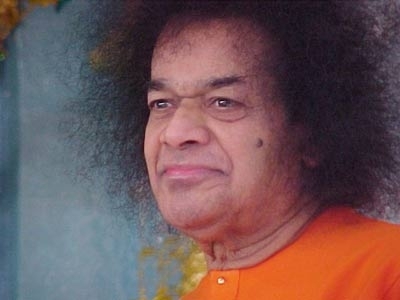 Those that depart the body carelessly go to Chandraloka, the loka of the Moon … At the time of pralaya, all merges into Lord Vishnu, who is none other than Lord Sathya Sai Baba. to the glory of Bukkaraya.